AIG's PineBridge Sale Delayed Again! AIG just blew another deadline to sell the asset management unit known as PineBridge. The deal to sell Pinebridge for $500M to Pacific Century Group was originally scheduled to close at the end of 2009. In mid-December, PineBridge announced that the closing would be delayed until the end of January so that the company could provide clients with more information. The company said that an end-of-the year crunch also contributed to the delay. “It is our intention to finalise these few open items over the next five to 10 days. For accounting reasons, however, we are likely to close the transaction at February month end,” PineBridge spokesman Ryan O’Keefe emailed Bloomberg. The deal didn’t close last month. It may now be delayed until the end of March. 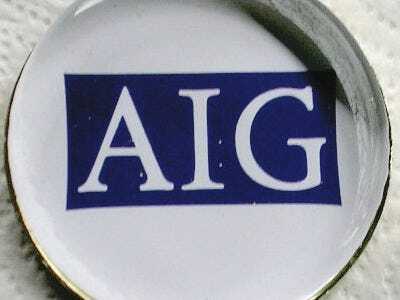 AIG is divesting itself of several businesses as part of its effort to repay government bailout loans. AIG has not officially announced the delay. A person familiar with the matter said the PineBridge sale is still “on track.” No detailed explanations for the continued delay were available. PineBridge does business in 32 countries, so it may be that clearing all the different regulatory hurdles are contributing to the delay. But inside of PineBridge some employees are increasingly nervous that the sale may be falling apart. The deal is important to PineBridge’s business. The unit missed out on much of the boom in high-yield, high-risk loans in 2009 because of its ties to AIG. It hope to be able to expand the kind of investments it makes as it separates from the bailed out insurer.